Evaluation » Comhar Chathair Chorcai Teo, Cork City Partnership Ltd.
Quantitative data gathered by the project so far has shown measurable gains in language among the target children. As Happy Talk is a population-based intervention, baseline information has been gathered on a population basis, and a number of reliable datasets have been established against which progress can be measured. A baseline position was developed using a number of different assessment tools, including the CELF Preschool 2 UK, Renfrew Bus Story and the Diagnostic Evaluation of Articulation and Phonology (DEAP). The Happy Talk therapists used the same sampling technique to re-assess the class groups at the end of the academic year 2011/2012 and 2012/2013. The re-assessment results showed impressive gains for children in all of the class groups with a 16.6% improvement in year one and 15.7% at the end of year 2. 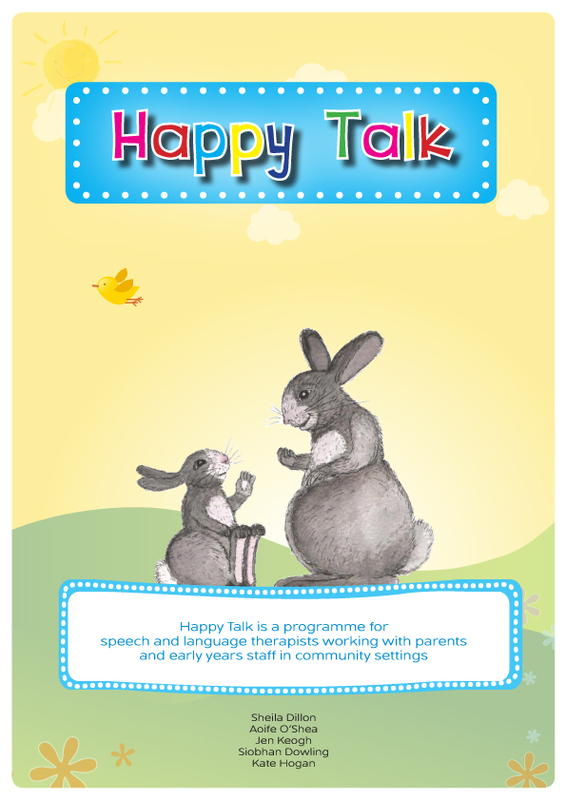 Attaining high levels of parental engagement is widely agreed to be a critical success factor for Happy Talk. A separate research exercise was undertaken by a 4th year speech and language student from UCC. The researcher contacted all of the parents who had attended the developmental baby clinics for their 7-9 month old babies. All of the parents contacted rated their level of satisfaction with the service as ‘very satisfied’. The majority (60%) found all aspects of the clinic useful and reported they changed their interactions with their babies as a result of the clinic (75%). One parent reported that ‘the (communication) wheel should be given in those EU mom bags… great information for parents… these extra tools are great… parents are so busy, all these things are very helpful’. Another parent stated that the session ‘really brought my attention to her [daughters] language and speaking… it’s good to be mindful… a fantastic initiative’. Finally another participant commented that ‘it is a great service… great that it was free… great to get tips at such a young age… I didn’t think you needed to think about speech and language until a child was four or five… I know much more now’. Both reports were designed by Kubeo Design.